Copyright �2010 PopEntertainment.com. All rights reserved. Posted: August 31, 2010. When Melissa Anderson won the role of Mary Ingalls on the NBC-TV series Little House on the Prairie (beating out two hundred other child actresses), she was asked to lose five pounds and sign a seven-year contract. The good news: Anderson hit the big time. The heartwarming family show would become a monster hit for its entire run, from 1974 to 1983. In subsequent years, reruns and DVDs would mint the series as a pop culture staple for the Seventies generation and the unborn yet to come. The irony is clear: spoiled modern kids who watch the show are transported to the 1870s, where they chill with an unspoiled family representin� the American prairie. The episodes are laden with happiness and tears, but not a single luxury. The after-school-special pleasure of each life lesson is not lost on its legions of fans: family first, work hard, be kind to animals and others, attend church, keep your barn clean, stand up to Nellie, and don�t fall asleep with the lantern burning. 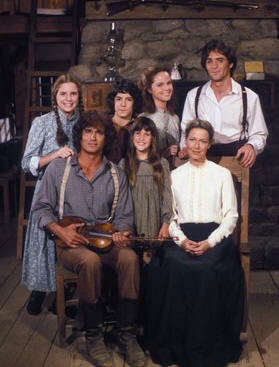 The bad news: Melissa�s character, Mary Ingalls, would be put through her melodramatic paces. America tuned in, week after week, to see just how much big trouble one little girl could handle. Mary suffered the very lowest depths of tragedy and indignity, with permanent blindness tacked on at no extra charge. Anderson, as a result, was a miracle worker, accepting every challenge the writers could throw at her: fire, water, rabid raccoons, unaffordable Christmas gifts, an unattainable leather-bound dictionary, snotty classmates, shifty drifters and every classification of nature unleashing her savage fury. But wait, there�s more! In seven years, Mary from the Prairie became TV�s reigning Queen of Pain. Nice work if you can get it. As a result, she was the only cast member to be nominated for (and win) an Emmy. Her talents being appreciated came about as a result of a classic TV Catch-22. Meaty, that�s for damn sure. 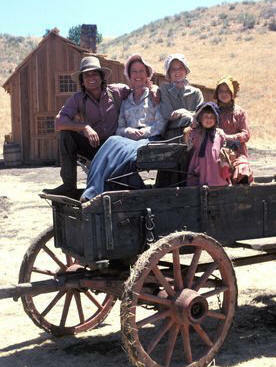 She stirs that prairie stew in her new memoir, The Way I See It: A Look Back at My Life on Little House (Globe Pequot Press). The book covers her season-by-season experiences on the show from its unlikely premiere in 1974 to her weary but victorious departure in 1981. The book is a tell-all, but the tell is not totally all. Despite the fact that she was a child star, Anderson could not be shoe-horned into the usual unhappy ending that had befallen so many other TV actors of that era. However, there was one single regret. She says, �The one thing that was missing from my childhood, the one thing that I didn�t focus on enough as a child, was a regular life, having a regular childhood. However, I loved what I had. I loved working professionally. I wanted it to be my career so that life was fantastic. But when I became an adult, I strived for �regular.� That�s what I wanted. I wanted to make sure that I was treated however I was for me and not for what people perceived me to be. That�s what is kind of nice about the book. I think people can read the book and know me. Born and raised in California, she had been working as an actress since she was nine. Her big break came with Little House, but a prior one-time appearance on The Brady Bunch set her forever in pop culture stone. 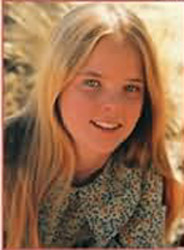 She guest-starred as Millicent, the first girl to kiss Bobby Brady. However, like the prepubescent Bobby, she herself saw skyrockets happen when her own series took off and the covered wagon started to move. With the adjustment to celebrity, she was often misunderstood. One of the people who had no doubts about her ability was the late actor/producer Michael Landon, who was already a huge television star when he put the series together and played her TV Pa. However, even father-daughter relationships on television mirror reality. Anderson was shaken when it was revealed that the married Landon was having an affair. 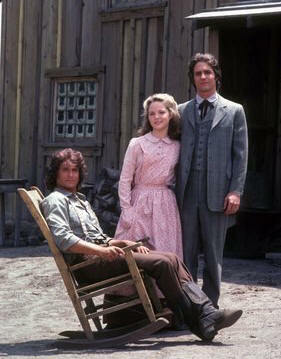 Anderson credits the success of the show to the determination and vision of Michael Landon. She says, �Every little girl growing up certainly reads and loves those Little House books. They�re simple. It�s longing for that simple life, simple but so difficult too. Look at how hard it was! But we had the added plus of Mike Landon. �People ask me all the time if I think the show would be a hit now, and I think no. The audience is too sophisticated now in the sense that the stories would move too slowly. To air a show like ours, it has to be at a slower pace. Surprisingly as well is the relationship (or lack thereof) of Anderson and her TV sister, Melissa Gilbert. They did not exactly stay in touch. Still, they had us believing. And more so, Anderson had us believing that she was blind, to the point where fans still believe to this day that perhaps the actor and not the character had lost her vision. �Mary went blind in the book,� she says. �When the pilot sold and we were going to series, [the �Mary going blind� plot point] was always in the back of my mind, but I thought, no, they won�t do that to me. And then I started hearing rumblings about it in the third season and I thought, �oh, this is terrible! They are going to write me out. If the character goes blind, that will be it. What am I going to do?� And I was miserable. Though expertly played, the blind sister thing got a little old; besides, Anderson had visions of other projects. She was already starring in afterschool specials and prime-time TV movies, as well as her share of Love Boat�s and Fantasy Island�s. �I fulfilled my seven-year contract,� she says of her final departure from Little House. �I did two episodes during the eighth season, but I couldn�t take it anymore � I couldn�t take another tragedy. I was just there for audience recognition, so they know I didn�t die. It was either feast or famine. Either I was involved in some horrible tragedy, or nothing. And the blind thing was just too limiting. So I bid farewell. It was fine. It was an easy, gradual way out. One of the proudest moments of her career came as the result of a guest-starring stint on the acclaimed CBS series The Equalizer, starting in 1986. A far cry from the Prairie, but her heart is still warm for those open spaces and fond memories. #1 � 2010. Courtesy of Globe/Pequot Press. All rights reserved. #2 � 1976. Courtesy of NBC Television. All rights reserved. #3 � 1974. Courtesy of NBC Television. All rights reserved. #4 � 1979. Courtesy of NBC Television. All rights reserved. #5 � 1979. Courtesy of NBC Television. All rights reserved. #6 � 1979. Courtesy of NBC Television. All rights reserved.